Stretching the One Income Dollar: DIY Home Bars: 5 Must-Haves For a Well-Stocked Home Bar For Your 4th of July! 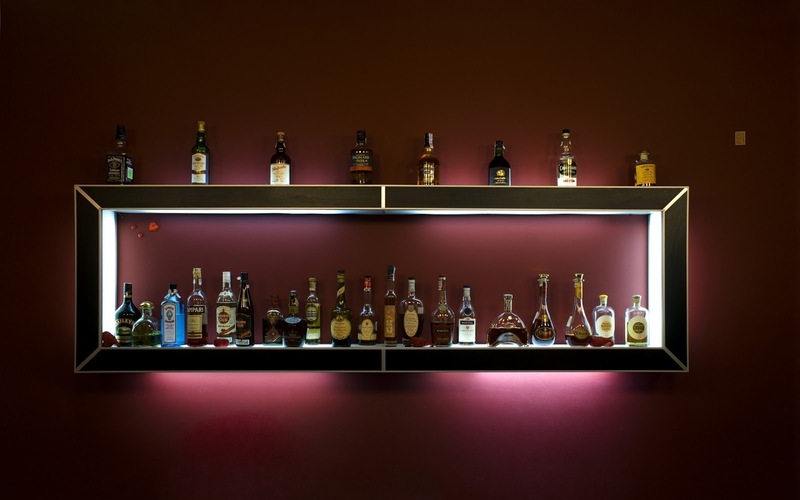 DIY Home Bars: 5 Must-Haves For a Well-Stocked Home Bar For Your 4th of July! Own a bachelor pad and love entertaining? You sure need a home bar, stocked properly. There is also a need of a drink, well-mixed which helps schmooze the romance when your girl is around, to impress drinking buddies or maybe to floor the boss and his wife, when they come calling. And moreover, the difference of having a drink with friends at a bar around town and mixing one at home is chalk and cheese. Get all swanky like it was in the 1960s, before the advent of mixologists and when real gentlemen poured drinks in their mid-century Baskervilles. 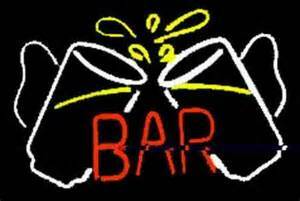 To start a bar can be a daunting task, says who? Home bars are fun to DIY and from scratch that too- believe us when we say it is fun, easy and wouldn’t pinch your pocket too hard! Before we tell you how to go about stocking the home bar, the rules first! 1. Pick alcohol that you personally enjoy imbibing and serving. Spirits that impress you would sure be hits when you lovingly curate them and make a sparkly drink in those glasses. Pick what only you like, because in most cases the home bar’s main client would be you. This allows you to share your personal tastes with all around, and enjoying a conversation over the same too. Talks can happen over what you stock and why you stock- reason enough to pick what you like. 2. Spend less and start small. Instead of hoarding the bar with plenty of bottles, most of which you wouldn’t like or drink- remember, your money is your money and you need to spend it wise. Dropping a boatload at the local liquor store would make the shopkeeper happy, but not you. People would expect you to make more drinks, some of which you haven’t and this would be a mess. So start small and grow as you move along. 3. Practice to get comfy with your mixes and drinks, and slowly expand the menu to accompany each drink too. It would be best to notify your buddies of what you have, and to learn of their favorites too. The sanctorum at home (the home bar) should be stocked well, so let’s begin with alcohol choices. 1. Gins rule- Start off with London Dry gin, add Plymouth to it or Old Tom. 2. Vodka for shots- Who doesn’t love shots, babushkas especially, and the good old Bloody Marys or the sizzling Cosmopolitans. ?Perfect for mixing since the odor isn’t too strong. Try Absolut or Stolichnaya, and if you want it nicer- Grey Goose for sure. 3. Bourbon whiskey anyone? Gentlemen and their whiskey shots, they love the sips and the Old Fashioned classic tastes. Wild Turkey and the quaint Jim Beam for mixologists are the best, especially if you are a novice at mixing. 4. Jack Donaghy Scotch whisky for the home bar is a must. Soul soothing and a reason why the deepest of man thoughts happen while sipping this bad boy from your glass. Stock on a bottle of Rob Roy for the classic touch, and blend it with single malt for finesse. 5. Tequila- Ahaa! Must-have and perfect for margaritas too. For mixes, try the Gold Tequila, and for the straight up shots- the silver tequila does justice. But do stock the bar with Patron, go ahead and try it! 6. Rum- Caribbean or Cuban, you just cannot say NO to it. Darker the better in this case and perfect for mixing too, you should start with light rums and add darker ones later as the party or the gathering progresses. It all depends on the concoction and magical Bacchus mix that you would like to present the attendees with, so here’s a list of what the home bar should have. Garnishing a drink makes it full of fun while serving the glass happens, and you do not need to be a pro at that. Use your imagination and creativity, and go right ahead. From lemon slices to fruits, olives to onions for cocktails, horseradish to spices (Tabasco sauce, pepper, salt et al) and yes, ice and sugar too. And how are you going to serve what you just concocted? You need the right glassware and the cutlery for serving smart, isn’t it? Go ahead and get spoiled for choices at Target.com. Also, you can use Target coupon deals and get hold of a myriad range of swanky and uber-cool kitchen-aid products, by which you can wow your guests with your mixology skills. Finally, you would have to invest in a small wine cooler, a wine rack, serving carts, pub sets, four bar stools and one bar table, bar cabinets to store the bottles and cutlery well-defined. While the bar stool seat should be at nine to twelve inches for comfort, just below the bar counter top, think of cushions for the cozy feel and extra comfort too. Well each man to his own (home bar), but as a gentleman with taste so pure and dapper, imagine how proud you’d feel flaunting your home bar by using the tips in this guide. The best way to tell the boss “See this bar right here sir, I built it from scratch”- a priceless achievement and to that we say. Cheers! That's a great list, now that we are older we don't drink much anymore like we did in our 20s, a drink or two with dinner or to relax, we would need a few bottles of Baileys and Kaluha added to the list!